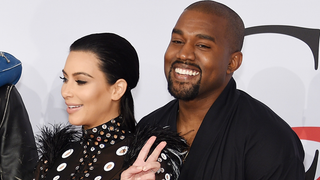 That Kim Kardashian and Kanye West are expecting a boy...is no accident. (Re-read that in Richard Attenborough’s voice.) A source told Us Weekly the couple only had male embryos implanted to guarantee a brother for Nori. “Kanye loves Nori more than anything, but to make his world complete, he wanted a little boy, an heir,” says a source close to West. It’s not exactly Gattaca, but it’s something. The bitter custody battle between Rosie O’Donnell and Michelle Rounds may have just gotten worse. The National Enquirer ( ;) ) is reporting that Rosie recently failed a hair follicle drug test. Perhaps the judge could be convinced by a flying Koosh ball or two? But enough about marriages that are about to end. Let’s talk about ones that are just beginning! Kylie Jenner is “rushing to marry” 25-year-old Tyga after she turns 18 in August. Ugh, what a busy summer Kylie’s going to have. She has to send out invites for her 18th birthday party, plan a wedding, make amends with Blac Chyna, and fill out a voter registration card! I do not envy her situation.